The indoor location audio kit is ideal for working on location in dry, indoor sets. It's similar to our outdoor kit but without the extra water/windproofing parts thrown in. 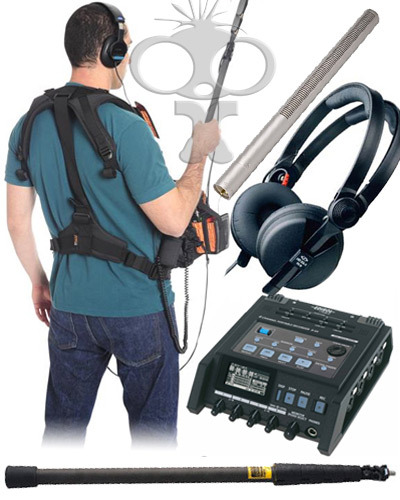 Containing everything you need to record great audio on location, with a solid state 4 channel audio recorder, boom mic and headphones for monitoring. 1 x Rode NTG3 shotgun condenser microphone.